CALORIC Anlagenbau GmbH has been awarded with a supply contract for the design and construction of an innovative CO2 removal unit. The unit is part of a large R&D project, dealing with the substitution of replacing fossil fuels by renewable energies to substantially reduce the product specific CO2 footprint. The R&D project requires high standards of the plant design as the plant has to cover a wide range of operational window. 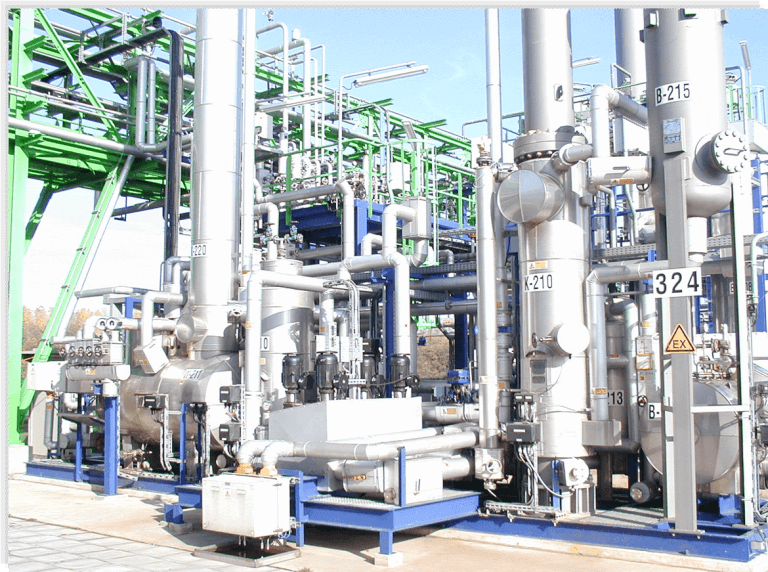 The chosen plant design will execute effectively the R&D campaigns with high fluctuations of pressure, mass flow and composition of the inlet gas. These fluctuations severely challenge the plant control concept which CALORIC successfully proposed. Client’s decision was driven by the high engineering capabilities Caloric provides especially in customized plant design and the excellent reputation Caloric has earned. The plant will be constructed as per CALORIC well-proven skid mounted concept and delivered pre-manufactured to site with the benefit of shortest start up time. The plant will be delivered beginning of Q2 2020.